19th IIFA Awards: Ranbir Kapoor, Arjun Kapoor, Varun Dhawan, Rekha, Kriti Sanon, Shraddha Kapoor, Bobby Deol and Iulia Vantur performed at IIFA Awards 2018 in Bangkok. 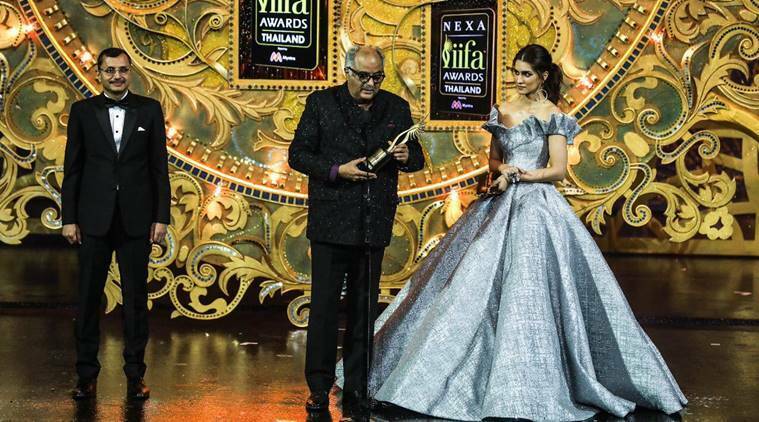 19th IIFA Awards 2018: Husband Boney Kapoor received late superstar Sridevi’s Best Actor – Female award at Sunday night’s ceremony. IIFA Awards 2018 came to end on Sunday night. The big winners of the awards gala were Tumhari Sulu (Best Film), Sridevi (Best Actor – Female), Irrfan Khan (Best Actor – Male), Saket Chaudhary (Best Director), Meher Vij (Best Supporting Actor – Female) and Nawazuddin Siddiqui (Best Supporting Actor – Male) among others. Bollywood stars like Rekha, Ranbir Kapoor, Shraddha Kapoor, Arjun Kapoor, Kriti Sanon, Anil Kapoor, Karan Johar, Bobby Deol and Iulia Vantur also made the night memorable with their stunning performances. 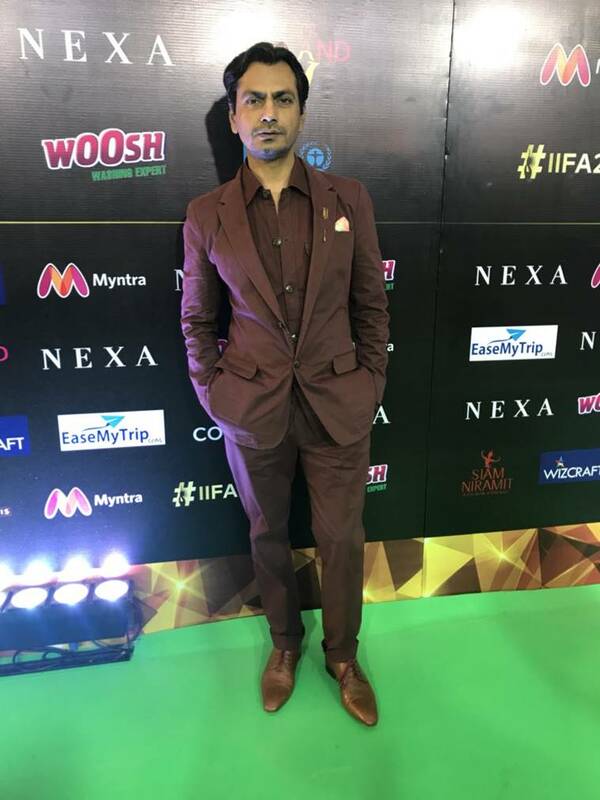 Held at Siam Niramit Theatre in Bangkok, IIFA Awards 2018 was hosted by Karan Johar and Riteish Deshmukh. IIFA Awards 2018: Read all the updates about your favourite Bollywood celebrities at IIFA 2018. Vidya Balan starrer Tumhari Sulu was declared the Best Film at IIFA Awards 2018. Sridevi was posthumously awarded the Best Actor - Female award for her performance in MOM. Irrfan Khan, who is currently seeking treatement for neuroendocrine cancer in London, won the Best Actor - Male award for his performance in Hindi Medium. Anupam Kher gets the award for Outstanding Achievement by an Actor in Indian Cinema. Nawazuddin Siddiqui wins Best Supporting Actor - Male award for his performance in MOM. Amaal Mallik, Tanishk Bagchi and Akhil Sachdeva win Best Music Direction award for Badrinath Ki Dulhania. Konkona Sensharma wins Best Debut Director award for A Death In The Gunj. Kriti Sanon was declared Style Icon of the Year. Meghna Mishra wins Best Playback Singer - Female award for Secret Superstar song Main Kaun Hoon. Manoj Muntashir wins Best Lyrics award for Baadshaho song 'Mere Rashke Qamar'. Anil Kapoor, Karan Johar and Riteish Deshmukh dance to Veere Di Wedding song Tareefan. Kriti Sanon puts her best fashion foot forward for IIFA Awards 2018. Arjun Kapoor, who will be seen next in Namaste England, is among the performers tonight. Anupam Kher is in the house! Anupam Kher will be honoured with the Lifetime Achievement Award at IIFA Awards 2018. Nawazuddin Siddiqui has been nominated in the Best Actor In Supporting Role (Male) category for his performance in Mom. Day 1 of IIFA Awards 2018 saw Pritam, Sreerama Chandra, Amit Mishra, Shalmali Kholgade, Antara Mitra, Nakash Aziz, Nikitha, Nushrat Bharucha and Mouni Roy performing at IIFA Rocks 2018, hosted by Kartik Aaryan and Ayushmann Khurrana. Day 2 of the awards gala witnessed the presence of Anil Kapoor, Anupam Kher and Dia Mirza among others at OSIAN's IIFA Cinematic Heritage Auction event. Varun Dhawan also took time out on Saturday to meet fans at Emquartier Mall in Bangkok.